Then it happened. Celiac disease, which left Bryan unable to enjoy his favorite drink. But when life gave this relentless optimist a severe gluten intolerance, he decided to brew gluten-free beer from Israeli staples like dates, buckwheat, and chickpeas. Once again, The Jewish Agency was there to help him make his dream come true. 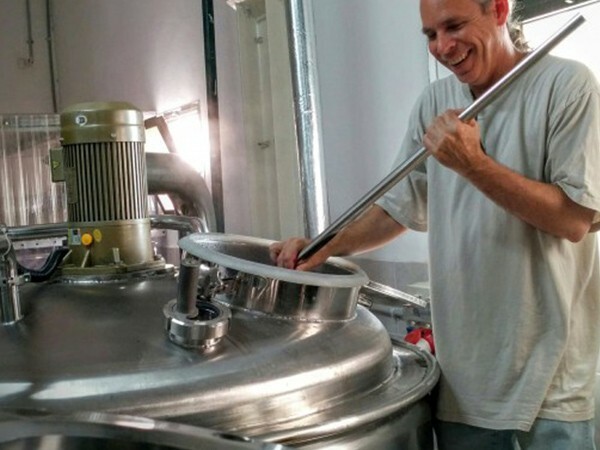 Their Small Business Loan Fund helped him—like more than thousand other Israeli entrepreneurs—expand his business, Meadan Craft Brewing, which sold 40,000 bottles during Passover alone last year. This year, he expects that number to triple. Image courtesy Meadan Brewing, Ltd. and The Jewish Agency for Israel.